As we indicated in the introductory text, the knowledge on which the spirit of our new idea for the latinoffroad travels emerged is a result of the seven year research of Latin American roads, as well as the Self. We decided to share the experiences gathered on these journeys with people who feel the need for changes beyond the domain of the material world. Our theory is based on the fact that the internal changes happen much easier if the clean and healthy body moves on marvelous landscapes of Latin America, where strong energy emerges. Among all routes that we passed in the last seven years, we have selected two paths which proved to be the most productive, the most interesting, unusual and certainly the most spiritual. Route 2: Buenos Aires – Santa Rosa – Bariloche – El Bolson – El Chalten – Calafate – Torres del Paine (Chile) – Punta Arenas (Chile) – Ushuaia (Argentina). Route I we also called the baptism in South America, because it passes through the incredibly exotic and for the European eye, very unusual places. 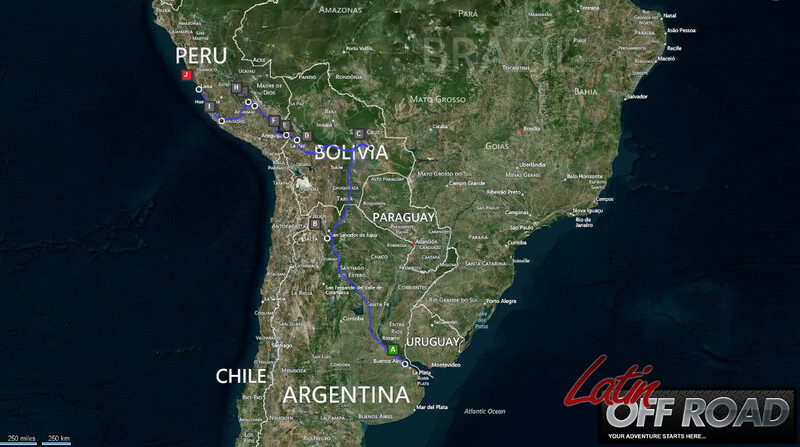 We start the journey on the Atlantic coast, then climb with jeep heights above 4500 meters, crossing the Andes, and finishing the trip on the Pacific coast in Lima. On this route, the emphasis is on the lake Titicaca and Machu Picchu, which are very strong sources of energy. The plan is to stay for a few days at lake Titicaca, one sleep over at the Island of Sun and a daily tour of the Isle of Moon. Also there is an option of visiting floating isles inhabited by the tribes of Uros. Those who are familiar with the energies already know that the Machu Picchu is the source of Yin energy or female principle for the Earth, so it is advisable to spend the entire day at the ruins of this ancient and mystical city. Upon arrival at Machu Picchu first we go to see the beautiful sights and ruin’s, and then the rest of the day we spend in meditation and silence, which are the best states of human body for receiving vibes from this holy place. 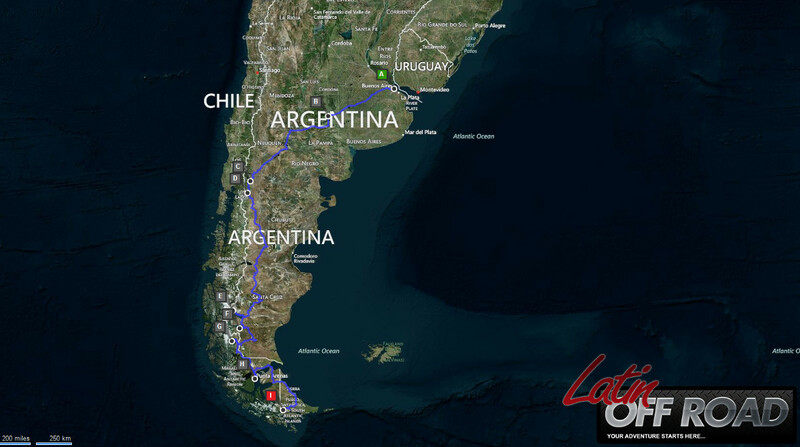 Route II that we suggest is also interesting because we practically travel almost entire Patagonia, which includes Argentinean and Chilean parts. In Patagonia there are no strong energy points to speak of, as in Bolivia and Peru, and that’s why we switched the focus to sport activities such as horseback riding, rafting, hiking and staying as long as possible in the intact nature. Tremendous benefits for the mind, body and soul also occur during this trip for several reasons: The entire trajectory from Bariloche to Ushuaia passes through the parts of the planet where almost all water is drinkable, there is no heavy industry or any other noise-generators, no phone, TV or any other signals, and almost whole trip is governed by absolute silence, so that after initial days of adaptation, the questions of deeper meaning and purpose occur in the Self, which is then slowly transformed into candid conversations with himself, causing clean thoughts, dreams and physical body. The positive changes of the spirit and physical body are additionally stimulated by consuming healthy food and drinking water from glaciers, which like its cousin urban water has the same chemical composition H2O, except that after only a few sips of Patagonian water one can immediately feel the difference in taste and energy charge, compared to the conventional water. Let us remember that water from the glacier remained frozen for millions of years, and therefore, its energy charge and the information that carries are completely different from those in tap water. We should mention Patagonian silence which also enhances the process of spiritual awakening. All travelers who visited this route with us came to the same conclusion as us from the agency, which is that the mix of silence, healthy food, glacier water, deep sleep, meditation and living in nature significantly accelerates the development of consciousness and awakens primal desire for self-realization. Unfortunately or maybe even luckily, modern science has not yet been able to explain the energy charge that living and non-leaving objects carry in themselves, so the only choice left is to join us, and together we could go and visit this magical place. We’ll be traveling by the Toyota SUV (Hilux-4X4,3.0 D) in which there is room for a driver and three passengers. The price is 2000 euros per week plus the cost of gasoline, lodging and food for the guide. Welcome!